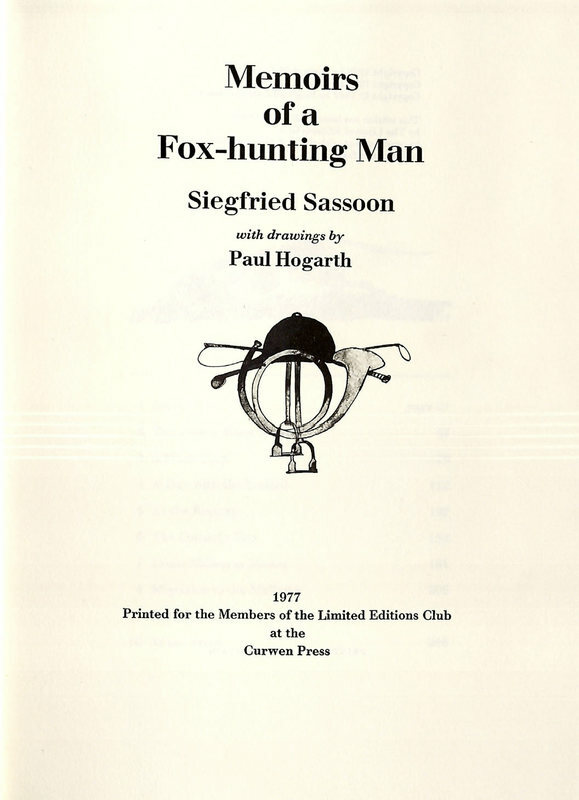 Memoirs of a Fox-hunting Man, with Drawings by Paul Hogarth. [Westport, Conn.]: Printed for the Members of the Limited Editions Club at the Curwen Press, 1977. The Club also produced, Sassoon's Memoirs of an Infantry Officer (1981), also illustrated by Hogarth. Paul Hogarth, OBE (born Arthur Paul Hogarth, 1917–2001) was an English artist and illustrator. 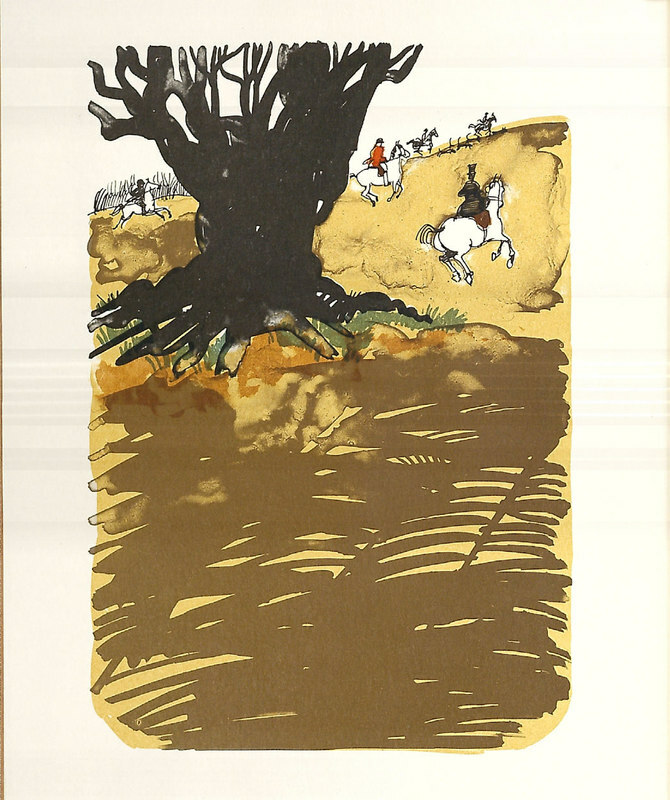 He is best known to a wider audience for the series of cover drawings that he prepared in the 1980s for the Penguin edition of Graham Greene's books. Upon his death in 2001, Hogarth was one of the most distinguished painters of the time. An avid traveler, Hogarth was able to document sights worldwide through his drawings and watercolors. 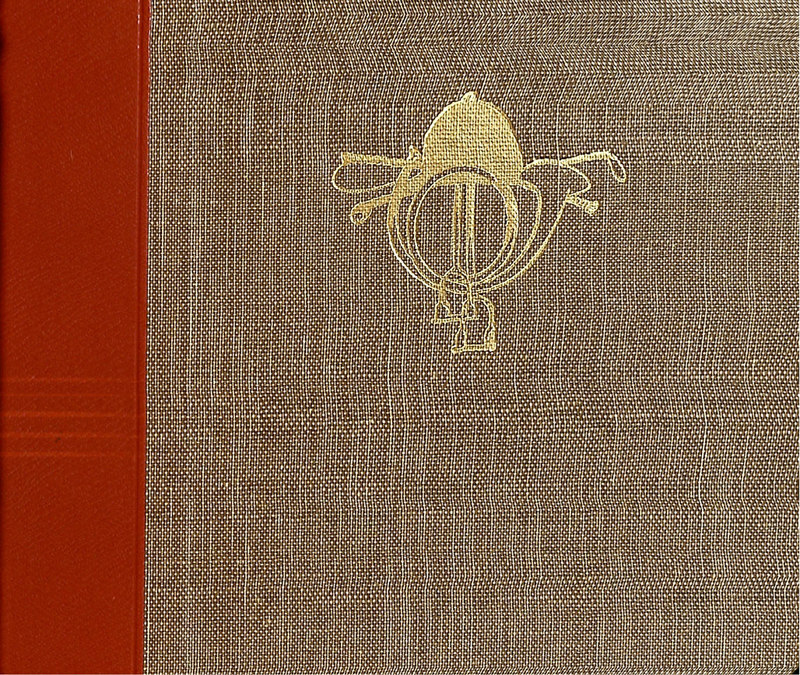 Printed in an edition of 1600 copies, Lehigh has copy no. 924. Title Page of "Memoirs of a Fox-hunting Man"
Plate from the "Memoirs of a Fox-hunting Man"